The age of autonomous vehicles roving the streets are almost upon us, and most modern cars have automotive systems that are controlled and monitored by computers. With our increasing reliance on computers monitoring car sensors and control systems, the entire automotive system must be designed to be safety-critical to ensure the safety of the driver, passengers, pedestrians and other vehicles. 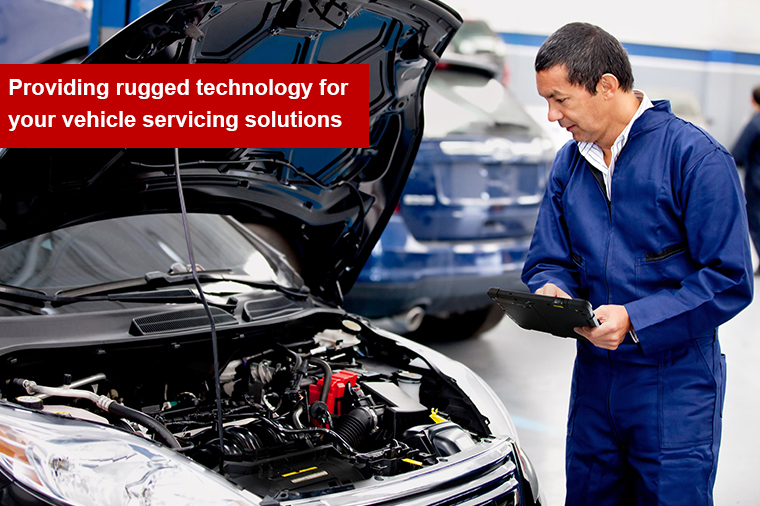 To improve the quality and reduce errors in these systems, Automotive OEMs and suppliers require good diagnostic tools to detect and discover any failures which appear in automotive systems. Winmate provides the perfect rugged mobile diagnostic solution with our ultra-rugged tablet pc, tablet pcs and handheld PDAs. Whether you need OBD diagnostics on the production line, in the workshop, or on the road, Winmate rugged mobile devices will be sure to fill your needs. Copyright 1996-2018 Winmate Inc. All Rights Reserved.